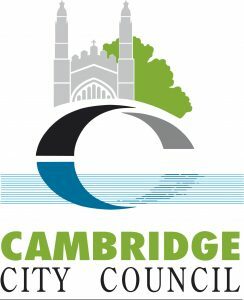 Many thanks to everyone who helps make Cambridge Carbon Footprint, Circular Cambridge and Open Eco Homes so lively and effective. Thank you to all our volunteers, supporters, and company members. And to the many personal donors whose contributions form a significant part of our income. Thank you as well to our funders and sponsors whose support is essential to our work. See below some of our recent supporters. Banner Buzz are providing us with a fantastic banner to advertise our Sustainable Fashion Festival. Our event sponsor QHERE are going to turn it into bags afterwards. We can't wait to share some before and after photos! A Cambridge based zero waste shop that aims to help people embrace low impact living by offering environmentally friendly products without unnecessary packaging. Saves thousands of tires and inner tubes from landfill sites by up-cycling them into a vast array of jewellery, sandals, and many other accessories, even clothing. Designs and upcycles used and unwanted materials such as advertising banners and punctured inner tubes into useful and snazzy bags and accessories. Our supportive City Council have supported Open Eco Homes for several years as part of their wider mission to make the city more sustainable. CFCI promotes a wider understanding and appreciation of the construction industry. They support us through their funding programme. Awards are made annually. Details from their website. Baufritz, Europe’s leading supplier of timber-framed eco-homes has been recognised for its exemplary work on sustainability. The Treehouse is designed and built to exceptional standards, offering unrivalled levels of comfort, a unique healthy living environment and low running costs. See home H.
Cambridge Solar Ltd are award winning, MCS approved, solar panel installers with more than 14 years experience. In 2018 they were voted British Renewable Energy Installer of the Year and East of England Regional Solar Installer and Contractor of the Year. Local architectural practice with 30 years experience: Low-energy design specialist. "One of Britain’s 20 top-notch architects", including for K1 - see homes C, E and I. Award-winning local architects, providing environmentally friendly low energy solutions. See home A. Suppliers and installers of renewable energy systems for domestic and commercial sectors.